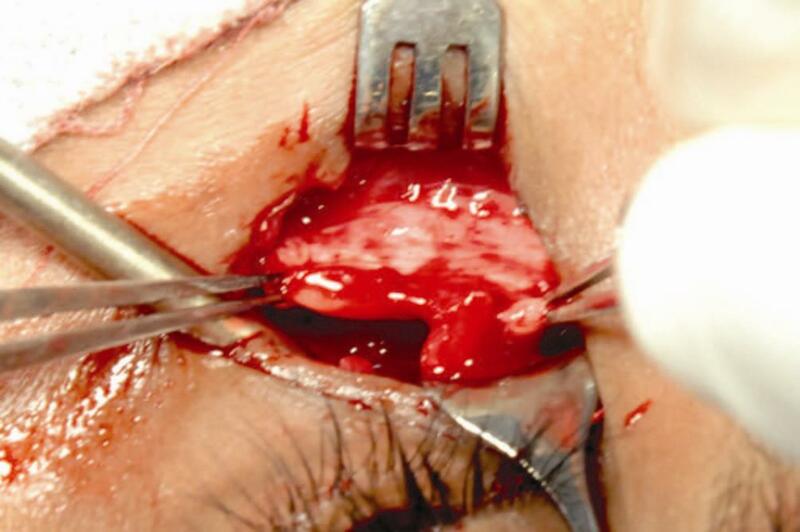 Dacryocystorhinostomy or DCR is among the common oculoplastics surgeries performed for managing epiphora due to nasolacrimal duct obstruction. 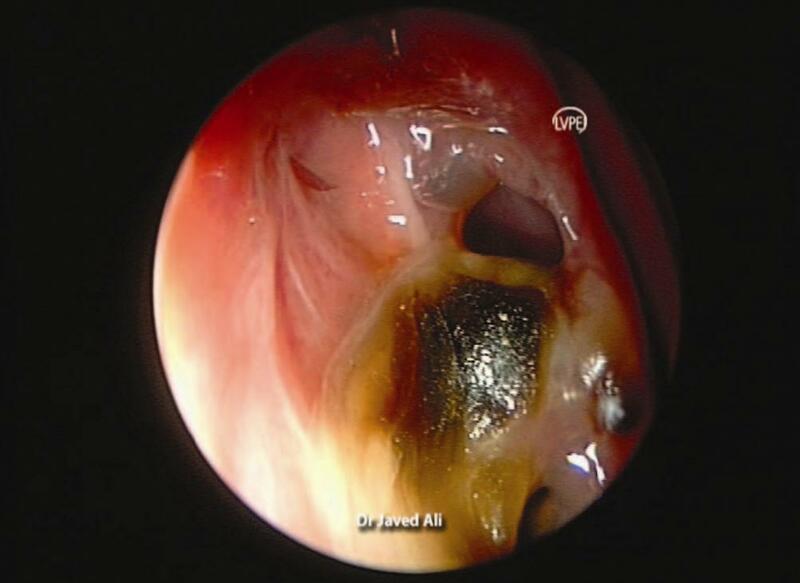 , It is a bypass procedure that creates an anastomosis between the lacrimal sac and the nasal mucosa via a bony ostium. It may be performed through an external skin incision or intranasally with or without endoscopic visualization. This article will discuss the indications, goals, and simple techniques for a successful outcome of DCR. There are two clear goals of DCR procedure. One is to make a large bony osteum into the nose and that remains so. Second is to have a mucosal lined anastomosis. Since both these purposes are well served by an external route, it is one of the preferred approaches with high success rates. Persistent congenital lacrimal duct obstructions unresponsive to previous therapies. Congenital lacrimal duct obstructions associated with mucocele, dacryocystitis, and not responsive to other treatments. Confirmation of the diagnosis and clinical findings. Additional general anesthesia investigations when required. The surgery can be done under general anesthesia or local anesthesia. The latter is the most commonly employed modality. Local anesthesia is given by both infiltration as well as topical application. For infiltration 2% lignocaine with 0.5% Bupivacaine with or without adrenaline is used. Infratrochlear nerve that supplies the lacrimal apparatus is blocked first. 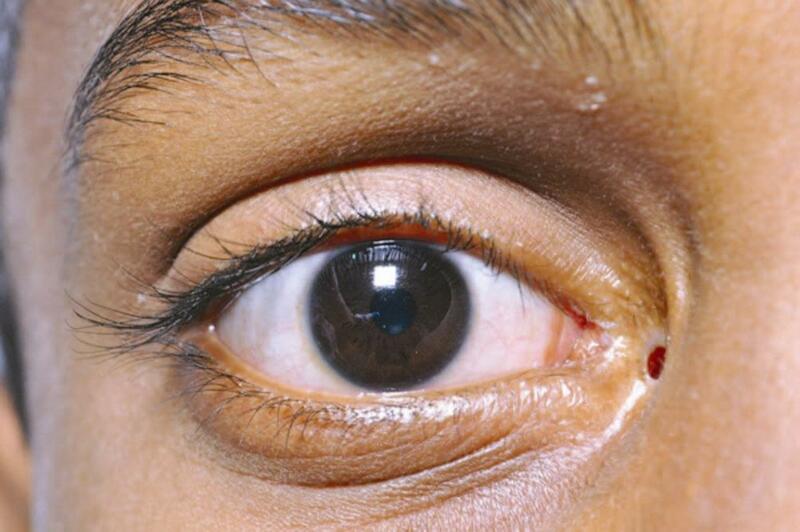 The nondominant hand marks the supraorbital notch and the needle is inserted into the lateral edge of the medial third of the eyebrow and advanced to just medial to medial canthus and 2cc of the drug is injected. 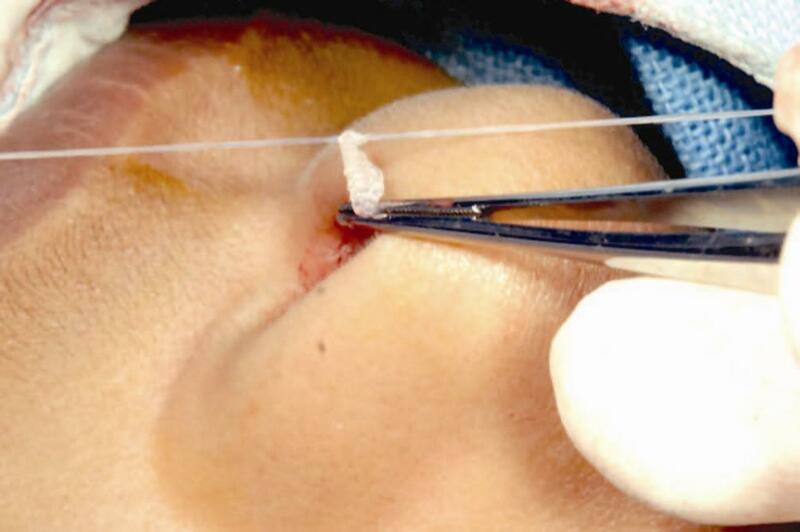 The tissues along the anterior lacrimal crest is infiltrated subcutaneously and the needle enters deeper at about 3 mm medial to medial canthus, and without withdrawing the needle the drug is injected into deeper tissues up to periosteum both superiorly and inferiorly. 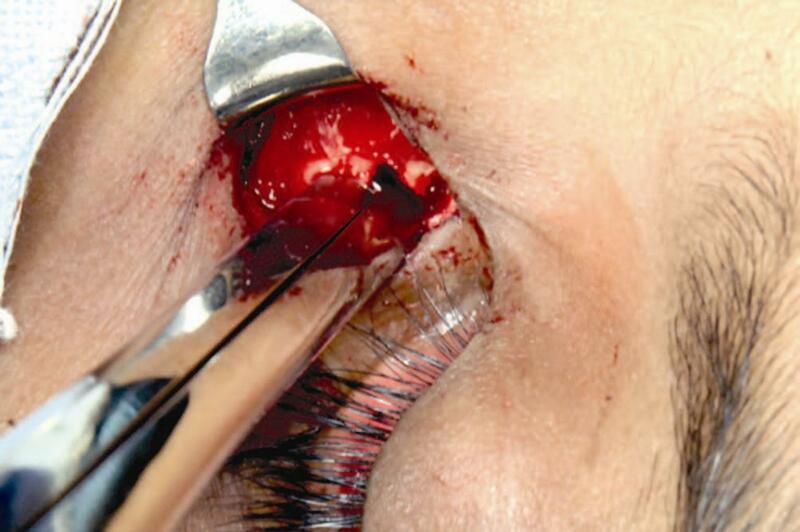 A drop of topical proparacaine is placed in conjunctival cul de sac for intraoperative comfort. Nasal mucosa is sprayed with 10% lignocaine 1-2 puffs followed by packing with 4% lignocaine and 0.5% xylometazoline. Alternatively topical lignocaine spray along with topical xylometazoline can be used without packing the nasal cavity. The forceps should guide the medicated cottonoid from the external nare superiorly and backwards so that it reaches the middle meatus, the site of osteum [Figure 1]. Though various incisions have been described, the authors prefer the commonly used curvilinear incision of about 10-12 mm in length, 3-4 mm from the medial canthus along the anterior lacrimal crest [Figure 2]. Blunt dissection is carried on to reach the periosteum. A freer's elevator is used to separate the periosteum from the bone and reflect it laterally along with the lacrimal sac to expose the lacrimal fossa. All efforts should be made to preserve the medial canthal tendon and dissected only when needed [Figure 3]. Anteriorly till the punch cannot be inserted between the bone and the nasal mucosa. 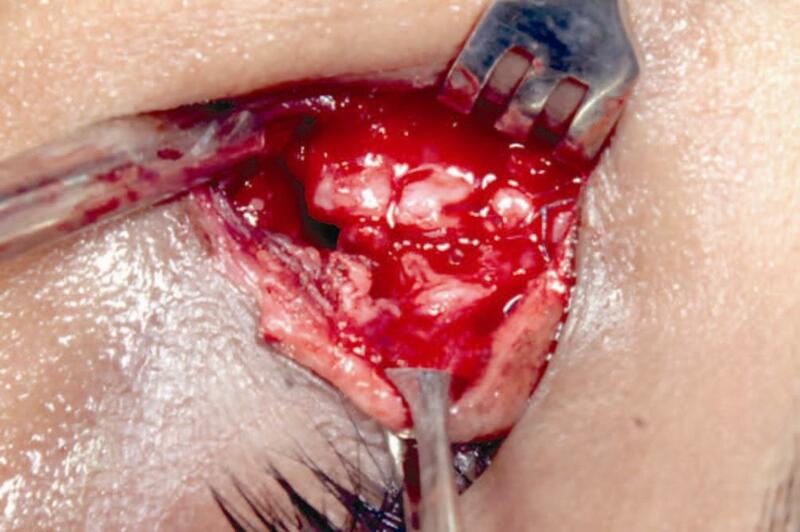 Posteriorly till removal of aerated ethmoid. Superiorly till 2 mm above the medial canthus. Inferiorly till the nasolacrimal canal is partly deroofed. The first step is to create sac flaps. To do this, a bowman's probe is passed through the lower punctum and bent in such a way to tent the sac as posterior as possible to create a large anterior and small posterior flap. Alternatively fluorescein stained viscoelastic can be injected from the upper punctum to dilate the sac and help in creating flaps. Using the probe as guide, an "H"-shaped incision is made with the help of a number 11 or 15 blade right across the sac from the fundus to the nasolacrimal duct. Flaps are raised and the posterior one is cut [Figure 6]. The second step is to fashion nasal mucosal flaps. With the help of number 11 blade incisions are made in the nasal mucosa along the bony ostium except anteriorly to have a hinged flap. 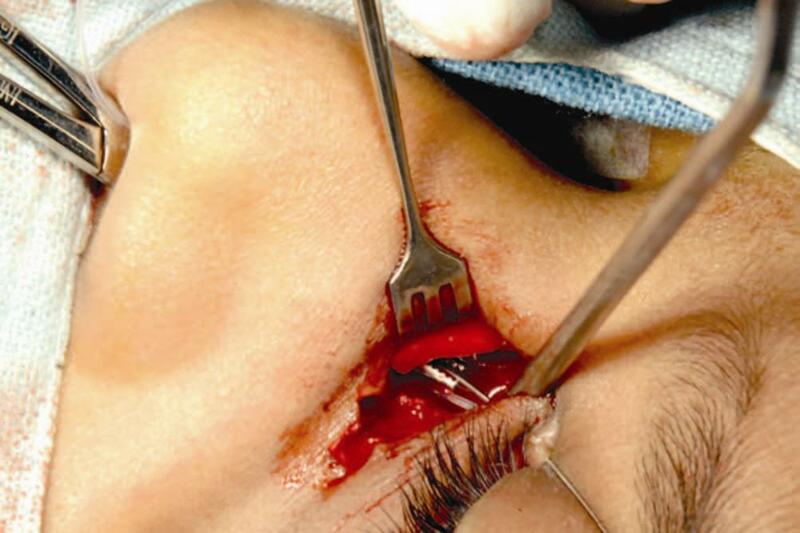 The large anterior flap is raised and the posterior small residual flap is cut [Figure 7]. 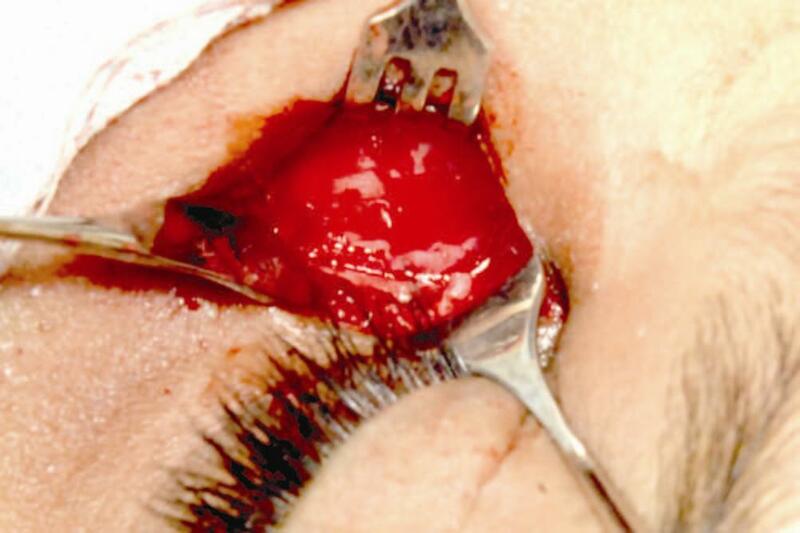 Once flaps are secured, the orbicularis is sutured back with 6-0 vicryl followed by skin with 6-0 silk [Figure 9]. Good preoperative assessment to rule out bleeding diathesis. Use of adrenaline along with local anesthetics provided there is no medical contraindication. Good nasal packing right in the beginning if bleeding anticipated. Raising the head end of the table. Keep materials like gel foam or bone wax in the armamentarium. Mitomycin C in a concentration of 0.04% is used if there are intra-sac synechiae, soft tissue scarring like in failed DCR's and in the presence of a complicated surgery. Intubation is also advisable for similar indications but in addition it is also used in the presence of canalicular problems and inadequate flaps  [Figure 10], [Figure 11] and [Figure 12]. 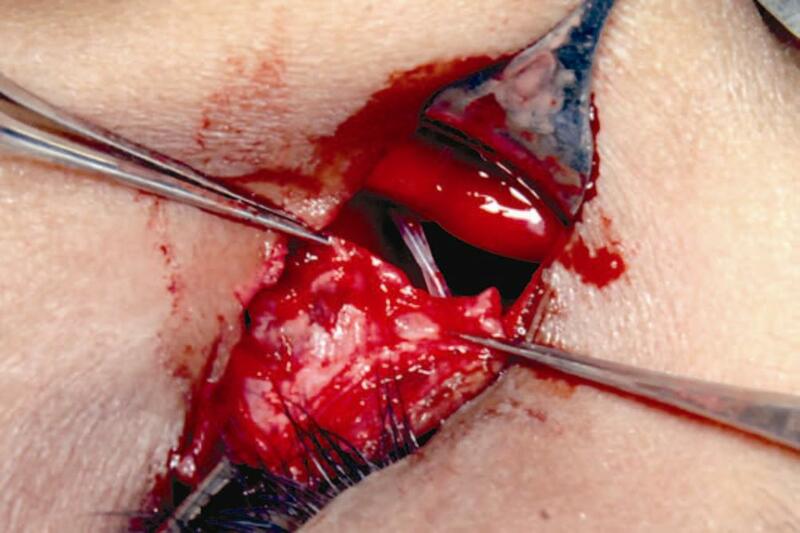 Once wound is closed, reassure the patient that the surgery went fine. Nasal packing is optional. When needed it is important to note that the purpose of this pack is for hemostasis only so deeper packing like preoperative one should be avoided for it risks damaging the flaps. The patient is started on oral antibiotics and analgesics. After the surgery patient is seen on the first postoperative day. The nasal pack if any is gently removed and hemostasis assessed. The wounds are cleaned with 5% betadine, and the patient is discharged on oral antibiotics and analgesics, topical antibiotics and steroids, nasal decongestants, and steroid nasal sprays. One week postoperative the sutures are removed, oral medications discontinued, topical steroids are tapered and nasal medications continued for two more weeks. The patient is reviewed at 6 weeks, 12 weeks, and 6 months. If the patient is intubated then tube removal is usually done at 12 weeks. 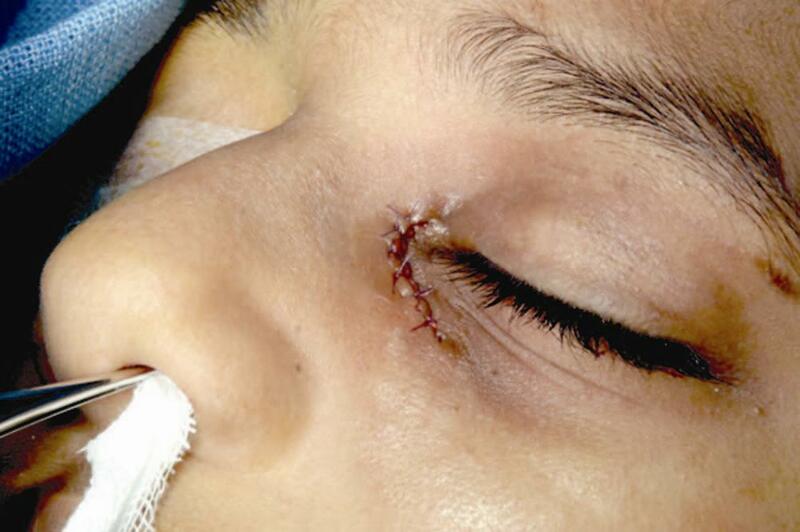 Early complications include wound dehiscence [Figure 13], wound infection, tube displacement [Figure 14], excessive rhinostomy crusting [Figure 15], and intranasal synechiae. Intermediate complications include granulomas at the rhinostomy site, tube displacements, intranasal synechiae, punctal cheese-wiring [Figure 16], prominent facial scar, and nonfunctional DCR. Late complications include rhinostomy fibrosis, webbed facial scar, medial canthal distortion, and failed DCR. 1. Tarbet KJ, Custer PL. External dacryocystorhinostomy. Surgical success, patient satisfaction and economic costs. 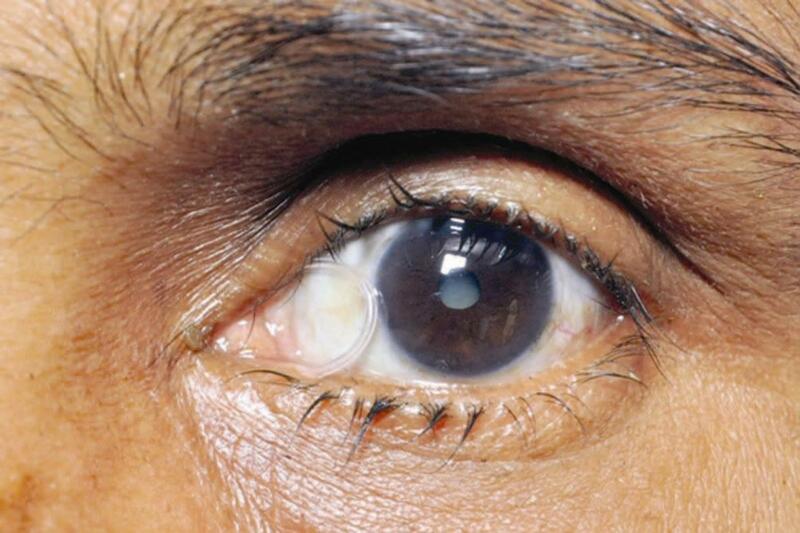 Ophthalmology 1995;102:1065-70. 2. Welham RA, Henderson PH. Results of dacryocystorhinostomy. Analysis of causes for failures. Trans Ophthalmol Soc UK 1973;93:601-9. 3. Linberg JV, McCormick SA. Primary acquired nasolacrimal duct obstruction: A clinico-pathological report. Ophthalmology 1986;93:1055-62. 4. Bartley GB. Acquired lacrimal drainage obstructions: An etiologic classification system, case reports and review of literature. Ophthal Plast Reconstr Surg 1992;8:237-49. 5. Olver J. External dacryocystorhinostomy. In Colour Atlas of Lacrimal Surgery. 1 st ed. Oxford: Butterworth-Hienemann; 2006. 6. Baldeschi L, Macandie K, Hintschich CR. The length of unsutured mucosal margin in external dacryocystorhinostomy. Am J Ophthalmol 1004;138:840-44. 7. Turkcu FM, Oner V, Tas M, Alakus F, Iscan Y. Anastomosis of both posterior and anterior flaps or only anterior flaps in external dacryocystorhinostomy. Orbit 2012. In Press. 8. McNab A. Dacryocystorhinostomy. In Manual of Orbital and Lacrimal surgery. 2 nd ed. Oxford: Butterworth-Hienemann. 1998. 9. 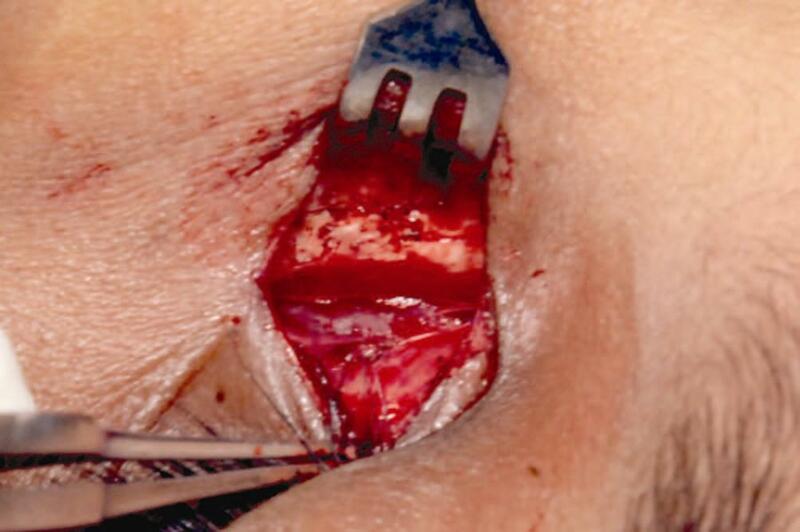 Rosen N, Sharir M, Moverman DC, Rosner M. Dacryocystorhinostomy with silicone tubes: Evaluation of 253 cases. Ophthalmic Surg 198920:115-9. 10. Dresner SC, Klussman KG, Meyer DR. Outpatient dacryocystorhinostomy. Ophthalmic Surg 1991;22:222-4. 11. Emmerich KH, Busse H, Meyer-Rusenberg HW. Dacryocystorhinostomia externa. Ophthalmologe 1994;91:395-8. 12. Cokkeser Y, Evereklioglu C, Er H. Comparitive external versus endonasal dacryocystorhinosotmy: results in 115 patients. Otolaryngol Head Neck Surg 2000;123:488-91. 13. Malhotra R, Wright M, Olver JM. A consideration of the time taken to do a dacryocystorhinostomy surgery. Eye 2003;17:691-6. 14. Dolman PJ. Comparison of external dacyrocystorhinostomy with non-laser endonasal dacryocystorhinostomy. Ophthalmology 2003;110:78-84. 15. Hartikainen J, Grenman R, Puukka P, Seppa H. Prospective randomized comparison of external dacyrocystorhinostomy and endonasal laser dacryocystorhinostomy. Ophthalmology 1998;105:1106-13. Kamal, S., Ali, M.J., Naik, M.N.